If there is one thing that convinces me of the truth of Bible prophecies, it’s the prophecy about the ‘mark of the beast’ – because it’s now a reality. And it seems to me that the evil empire which I would like to call The 666 Empire, is perpetually assessing who among us citizens of the world would rebel against it so it could pressure us to submit to its system. Some celebrities are already implanted with RFID’s so beware whom you idolize. There is a movement called The Cashless Society being promoted. Only time will tell if that movement is an overt publicity for microchip implants or if it will be a moral competitor to microchip implants. Interesting video here. Are we now all being set up to get the ‘Mark of the Beast’ with the push for microchip implants and biometric ID’s? Healthy eating is now affordable only by the rich –link. Clean air is now becoming a luxury too –link. When we reach the end of our ropes, the 666 Empire will force us to either submit or die. Yesterday we looked at how Louisiana is now banning cash transactions. Whatever their (fill_in_the_blank) reasons are, they will rationalize it in any manner they think will convince you to accept it. Because this is just a step towards a much larger agenda. In today’s video the lame stream media tries to convince the public that we need to get rid of cash in general, because (fill_in_the_blank) uses cash, and we can’t have that. Their solution is to give everyone biometric ID cards to make our transactions with. ‘…It could be dangerous to have the chip as criminals would have to cause bodily harm in order steal it. 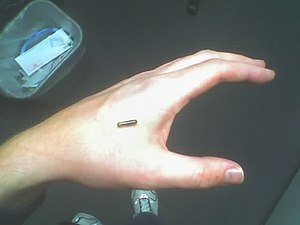 ‘BBC Science producer Simon Morton goes clubbing in Barcelona with a microchip implanted in his arm to pay for drinks. ‘Imagine having a glass capsule measuring 1.3mm by 1mm, about the size of a large grain of rice injected under your skin. 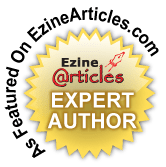 The Veri-Med(TM) subdermal chip was approved by the FDA in 2004 but an investigative journalism report in 2007 revealed that nearly identical implants had caused cancer in hundreds of laboratory animals, forming tumors in the tissue surrounding the chip. This adversely affected the company’s stock price and the company was sued by its shareholders for making misleading statements. They ceased production of the chips in the second quarter of 2010. So what would you do if the ‘world government’ forces you to with implantation of the 666 chip? Would you have the courage to die than be a slave? It seems the logistics would be a problem; because right now one can decide to not carry an ATM card or ID, or to carry false credentials. This makes certain crimes difficult. It could be dangerous to have the chip as criminals would have to cause bodily harm in order steal it. Maybe the implant could automatically be rendered useless if removed. Still, it would give cause for kidnapping as criminals are guaranteed to have a valuable person whomsoever they grabbed as everyone has their ATM of credit card and ID build-in. It could still be done, especially if only the poor were tagged. Your foresight is very sharp Louis and I expect your prediction to come true! I will edit my post to quote you. I hope you give me more of your valuable comments in the future. Thank you. You deserve being quoted man. I like your great site and veggies too.